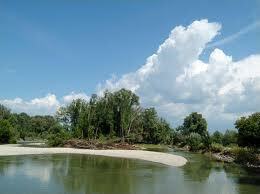 Donau-Auen National Park is in a strategic location between two capitals of Europe – Vienna and Bratislava. This park preserves the last remaining major wetlands environment which can be found in Central Europe. Within the park flows the Danube and is its lifeline. Here visitors can find many plants and animals among them also rare species. The park offers guided walking tours or tours by boat. This national park was established in 1996 and altogether had 9300 hectares stretching a thin strip on both banks of the Danube. It extends from the outskirts of Vienna to the border of Slovakia. The park is 60% forest and around 25% lakes and waterways. Donau-Auen National Park was created in order to protect an environment with was threatened by the hydroelectric power station in Hainburg. Here visitors will find lots of flora and fauna to delight in among them 700 species of fern and flowering plants. In the water there is a high density of kingfishers which feed off of the fifty fish species that make these waterways their home. In the wetlands those that make their home here are the European pond turtle, native snakes, diverse amphibians and interesting insects with a wide range from wild bees to beetles, dragon flies and butterflies. 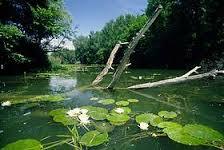 There are interesting aquatic plants, native flowers, and riparian trees. Here you can also find an underwater observatory which lets visitors be an unusual view of life in the Danube backwater and the inhabitants which live there. At the north end of the park visitors will find the National Park Office where they can sign up for a series of tours both on foot and by boat. Donau-Auen National Park is located in the Auland Carnuntum region and offers lots of cultural and historical points of interest. Among the sites are the Imperial Festival Palace Hof, Eckartsau Castle and Schlosspark, the medieval city of Hainburg and the Carnuntum Archaeological Park, and The Marchfield. Bordering directly with the park are the ancient Roman Lands of Carnuntum – the Romerland Carnuntum. Carnuntum Archaeological Park offers visitors amazing moments in the world of the Romans and one can be witness to the resurrection of Rome’s metropolis on the Danube. Imperial Festival Palace Hof brings one into the magical world of the Baroque. Eckartsau Castle can be found in a natural setting and the hunting lodge gives visitors a look into the private lives of the last Austrian Imperial couple. Charles and Zita. This region has lots to offer visitors in the way of excursions within the national park, comfortable and impressive lodging as well as different restaurants to choose from.